To help you get a better idea of what to expect, and as a partner to our first-time home buyers guide, we've collected a series of steps and tips that will hopefully make the process of selling your home a little easier. As always, if you have any further questions, David and I are happy to answer them. The very first step to selling a home is deciding that you want — and are ready — to sell. Many first-time sellers are under the impression that when you shop for a new home, selling your current home will be included in the process. This can be partially true, but it's also possible to be ready to buy a new home only to discover that you don't have everything you need to make a sale at the same time. This is why it's important to collect as many property-sale-related documents as you can, as early in the process as possible. They'll help you get a rough idea of any work or renovations that might be needed, any potential mortgage complications, and even some possible price points. Put them all in a folder or binder and organize them in a way that's easy to flip through. For mortgages and contracts, pay particular attention to the terms of your agreement. Do you plan to transfer any contracted services to your new home, or do you intend to have the buyer of your current home take on the contracts and their costs? If your mortgage term isn't complete, do you have a portable mortgage that you can bring to your new property, an assumable mortgage that the buyer can take over from you, or will you have to take on a mortgage payout penalty? Keeping this paperwork organized and available will make things easier not only for you and your Realtor, but also for the new owner of your home. Having them on hand can also help cut down on any last-minute issues during closing. Just like when you bought your home, you'll be spending a lot of time and trusting a big decision of your life to your real estate agent, so it's important to find one that not only fits, but has a good track record of professional sales. The first thing to remember is that while most licensed real estate agents have experience with both buying and selling, they tend to specialize in either one or the other. You'll want to look for a selling agent (or a real estate team that consists of a listing (buying) agent and a selling agent). You can build your list of potential agents through a variety of means: From word of mouth referrals, by searching online or browsing REALTOR.ca, by asking agencies for a recommendation, or even by looking for agents who are currently selling homes in your neighbourhood. Once you have your list, you can check them on RECBC.ca to make sure that their license is current. When interviewing agents, ask for references, and to see their sales history over the past few years. You'll want an agent who sells homes close to the price they were listed for, both in good and bad markets. This indicates a strong understanding of the market and accurate property valuing. The agent you work with should also possess outstanding marketing skills. Today more than 90% of all home buyers find their property online, so you want an agent who has the skills and connections to make your home stand out. Look at the agent's website and whether they have a social media presence. What services do you provide? How much do you charge for them? What are the top 3 things that separate you from your competition? Will I always deal directly with you, or are you part of a team I'll be in contact with? What neighbourhoods do you serve or specialize in? Do you specialize in certain types of properties? How many sellers did you represent last year? How many clients do you work with at once? How will you present buyer offers to me? How do you handle multiple offers? What is your motivation for selling? When would you prefer to have your home sold and the conveyancing process finished? Are you also planning to buy a home? Do you have any fears or concerns that you want addressed? What is the most important aspect of the sale for you? Do you want the highest possible sale price, a fast closing process, or do you have certain conditions? If your real estate agent promises certain services, include them in a written service agreement. Written agreements ensure you're getting the services you want, need, and expect, and you should never sign an agreement that has terms you don't agree with or don't understand. In rare cases, a conflict of interest may arise when there's a real (or apparent) incompatibility between the agent's interests and your interests. Real estate agents have an obligation to avoid and disclose any conflicts of interest to you as soon as they arise. In BC this now includes dual agency — Realtors in British Columbia are no longer allowed to represent the buyer and the seller on the same sale simultaneously. If you're made aware of a conflict of interest, you may want to get legal advice, or proceed with a different real estate professional. A real estate agent in a conflict of interest can't provide services to you unless you give them your written informed consent. Last of all, it's recommended that you don't try to pit agents against each other to compete for commission — doing this increases the chances that you'll wind up with an unscrupulous agent, and you don't deserve a Realtor who doesn't have your best interests at heart. If you've been living in your house for years you may no longer notice little problems, but buyers will spot them right away. Squeaky doors, a broken doorbell, and tiny window cracks can all send red flags to potential buyers, no matter how nicely the rooms are staged. Before your house goes on the market, it's worth the money to hire a certified home inspector to identify problems that could deter would-be buyers. If a potential buyer makes an offer but maintenance problems are encountered during the home inspection, you can lose the sale, resulting in your home being relisted. By having the inspection done now, you'll be able to make the necessary repairs before the first house hunter walks through the door. After the inspection, go over the results with your real estate agent and draw up an action plan of items to address before actually listing your home. By putting in the planning now, you'll save yourself a ton of time and aggravation during the sale process. Having your home inspection done early will also make it easier for you and your real estate agent to decide on a selling price that accurately represents the value of your home. Your agent will analyze comparable sales in your area and prepare an estimate of value called a CMA, or comparative market analysis. A buyer's market is when property supply is strong and buyer demand is weak. In a seller's market, buyer demand is strong and property supply is weak. A balanced market is when demand from buyers is keeping pace with the supply of properties for sale. It's great to be a seller when interest rates and housing inventory are low, but homes sell under all conditions. The trick is to be realistic about what market conditions will allow. Many new sellers want to try to make a profit by listing their home at a higher price than its estimated value, but inflated prices can limit the amount of interest you receive. Getting too little interest can force you to drop the price, which in turn can make the next round of buyers suspicious that something's wrong with the property. Your property will be competing with other homes for buyer attention, so ask your real estate agent how to be competitive, and then listen to their advice. While deciding on a price for your property, you'll also want to factor in the extra costs that you'll expected to take care of as the seller. This can include property taxes, utility bills, homeowner's insurance, repairs, and commissions, which all add up quickly. Make sure you understand every cost that will be coming your way by having your real estate agent present you with a list of all costs, and make sure you're prepared to pay them. Feel free to question anything you're unsure about. You might also consider investing in a home buyer's warranty, especially if you live in an older home. You can transfer this contract to buyers, providing them with a form of insurance that will cover certain repairs or replacements within a specified amount of time after they purchse. Although it's worth the investment, know that a warranty can set you back several hundred dollars depending on the location of the house and the coverage options. The best day to list your home will vary depending on your local neighbourhood, the time of year, whether you have children in school, and a number of other factors, including the state of the real estate market and the amount of prep your property needs. You get one chance to present your home in its best light the first day on the market, so you don't want to have any leftover work or maintenance that may cause you to miss potential buyers. It's important not to list your home until you're ready to open your doors to buyers. If you're selling a home and buying a new one at the same time (known as co-incidental completion), you'll probably need the money from the sale to buy your new home. Keep in mind that it can be difficult and sometimes impossible to get your sale money early enough to be used to complete your new purchase, especially if your new home's purchase is on the same day or earlier than your sale. One solution is to speak to your mortgage broker ahead of time and organize bridge or interim financing. This will get you a loan secured by your sale proceeds, which you can use to close on your new home. When the sale of your existing home closes, you use the sale proceeds to pay back your bridge loan. On that note, don't want to say that you won't sell until you find a new home. Buyers don't like making offers on homes they might not be allowed to buy, and most owners won't accept a home sale contingency. If you have worries about finding a new home in time, you should absolutely consult with your agent before listing your home for sale. They may advise you to ask for an extended closing period of 60 to 90 days, instead of the traditional 30 days. That way you can close early if you find a new home quickly, and if not you'll have a little more time to house shop. It can be in your interest to offer buyers a negotiable possession date as well, if your timeline is flexible enough to allow it. Doing so can help in getting a fair deal during offer negotiations. Have a contingency plan just in case, especially if you have children. If you still haven't found a new place by the end of your closing period and the school year hasn't ended yet, you may have to rent a hotel suite for a while. If you have kids, now is also the time to tell them that you'll be selling your home, if you haven't told them already. Not explaining to a child that their home is being sold can be devastating, and conversely a child who is aware of and on board with the sale may be more willing to help keep their room clean and not destroy the house in between showings. 85% of home buyers shop online first, so professional pictures shot with specialized lenses are expected in a competitive marketplace. Your home will likely make its first impression on the web, and pictures are often key in clinching viewings with prospective homebuyers. Of course, if you've hired a top-notch listing agent, your agent most likely already provides professional photos and staging services. It isn't enough to just get the right angle — the most popular photos are enticing, rich in colour, and show depth. You might be tempted to complete a few large-scale renovation projects to increase the value of your home, but these expensive upgrades don't always pay off. Ask your agent to advise you on preparing your home for sale. More cost-efficient upgrades are often small but impactful changes such as regrouting tiles, replacing outdated hardware, or swapping out old light fixtures to modernize a space. Hiring a professional cleaner can make a huge difference in a home's appeal, especially when it comes to carpets and windows. Now is the time to start lining up your move, too. Most homes show better with about half of the furniture removed, and cluttered homes filled with collections and knicknacks can be overwhelming to buyers. Start packing before you start staging, and put everything you won't need for the next six months in a storage locker. It will make it both easier to keep things clean during open houses, and easier to start your relocation once you've accepted an offer. Next comes staging, which should make your home feel larger, brighter, and more welcoming, qualities that rank high on buyer "must-have" lists. You can save a bit of money by opting to use your own furnishings, and there’s often no need to stage every room in the house. The most important rooms to stage are the living room, kitchen, and bathrooms. Guest bedrooms and home offices can be unstaged as long as they're kept decluttered and spotlessly clean, making it easy for buyers to imagine their own items in the space. If you're planning to keep certain window treatments, light fixtures, or built-in appliances, remove them now. If you don't, potential home buyers might assume they come as part of the house, which could cause problems down the line. Put away special pieces like that crystal chandelier you love, and replace them with inexpensive substitutes where necessary. Spend a weekend sprucing up your exterior to ensure that your photos look good and your home feels welcoming to buyers the second they arrive. Power-wash the driveway and sidewalks, clean light fixtures, trim the lawn, and throw down a clean welcome mat. Don't forget the backyard or garage, either — buyers will want to evaluate them, so don't plan on using them as a catchall area for storage bins or moving boxes. As soon as your listing hits the market, you should be prepared to start holding showings and open houses. Keep in mind that buyers will want to comfortably dig through cabinets and closets, peek behind doors, and comment on likes and dislikes, and it's difficult to do that when the homeowner is around. Buyer's agents prefer to show without interference, and anything you say about your property to a potential buyer could be used against you. Once your home is on the market, you need to be ready to keep yourself occupied away from home whenever the opportunity for a showing arises. That doesn't mean that you need to accommodate every last-minute showing request, but it helps to have a "go bag" on hand filled with some work or hobbies, and a list of locations where you can kill some time on a regular basis. Spending time working in a café on a laptop is a popular option, while parents might want to take the kids to a movie or the park. You could even take a weekend mini vacation and let your real estate agent fill up the time with open houses. You can also leave out a list of neighbourhood positives for potential buyers to look over, such as nearby grocery stores, restaurants, parks, public transit, and other walkability-related benefits. A term is a detail in the purchase contract that the buyer and seller agree to. 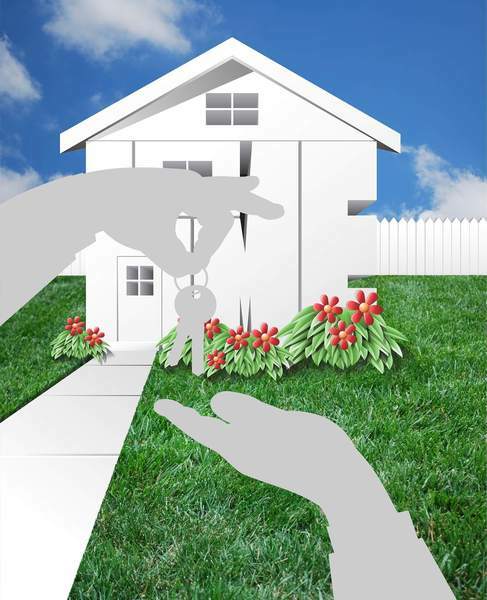 The possession date is the date on which the buyer will take possession of the property. Inclusions are items the buyer wants included in the purchase, such as appliances and security systems. Exclusions are items that won't be included in the purchase, like the curtain rods or TV wall mount you're taking with you to your new home. The inclusions and exclusions in a buyer's offer to purchase may not be the same as what you had in your listing, so review them careful. Buyers can set a time for acceptance or expiry of offer, meaning that if you haven't responded to their offer or made a counter-offer by the specified day and time, the offer expires (and they likely won't renew it). A pre-possession inspection term gives the buyer the right to view the property with a real estate professional prior to possession, to confirm the property is in the same condition as it was when they viewed it and made their offer. Buyers often place conditions or present a conditional offer to purchase when they want to review or confirm information about the property. The most common conditions have to do with financing and home inspections, but a wide variety of them are possible. All conditions need to have an expiry date, and if you accept them as a seller, the deal to sell your home won't be finalized until the buyer confirms that their conditions have been met or the expiry date has passed. Most buyers should provide a deposit with their offer, with details on who will hold the deposit in trust — this could be your brokerage, the buyer's brokerage, or a third party like a lawyer. A contingent offer is an offer made by a buyer who may require additional time to arrange financing, or may need to sell an existing home before closing on yours. Instead, if you like the other terms a buyer is offering, accept the offer but insist on a first right of refusal. That way, although your house is under contract, you can continue to show it to other prospective buyers. If you get a better offer, the first buyer must find a way to remove the contingency and purchase your house within a set time (usually two to four days). A holdback is an agreement where a buyer withholds some of the purchase price until the seller completes certain requirements, such as completing an unfinished renovation, replacing the roof, or dealing with property encroachments. Once you've received an offer from a buyer, you can outright accept or reject their offer, or make a counter offer. In most cases a buyer will think the listing price is too high and you'll think their offer is too low, but you'll enter into negotiations to find an arrangement that everyone can be happy with. In the event that you receive multiple offers, your real estate agent should immediately inform you of the situation and explain the different choices you have and strategies you can take. It's up to you as a seller whether you disclose a multiple offer situation to the buyers involved. Buyers who are told they're one of multiple offers may increase their offer, but others may remove their offer entirely. You should review each offer individually and carefully, and consult with your agent to make sure that you're following proper procedure. When you've accepted an offer and the buyer has confirmed that their conditions have been met, congratulations! Your home is sold and now it's a matter of waiting for possession day. This is the time to start moving on all the administrative tasks you'll need in order to complete the possession process and get yourself moved out. First, to ensure your documents are in order, you'll need a real estate lawyer. You should get in touch with one immediately after accepting an offer so that the lawyer will have time to review and prepare your documentation. Make sure to give your lawyer's name to your real estate agent and mortgage broker as well, so they can provide any necessary information. Your lawyer will go over all of the legal documents with you, including the title transfer, closing costs and disbursements, and mortgage payout (if applicable), and will have you sign the documents to transfer the property's title to the buyer after they advance the purchase funds. You'll need to bring photo ID to your meeting — ask your lawyer specifically what forms of ID they accept. Remember that until possession day comes, you're still responsible as the homeowner of the property. You'll need to keep things clean and maintained, and your home insurance coverage in place — don't cancel your insurance until the sale has closed. If you won't be living in the home during some of this time, speak with your insurance company, and make sure your lawyer, agent, and broker stay in contact with you at at all times. Don't leave town if you still have documents to sign. It's unlikely, but it's important to remember that there's always a small chance that the buyers may back out of the deal and are unable or unwilling to proceed, due something like a change in their financial situation, critical illness, or mortgage issues. At that point things become more of a legal issue; your real estate agent will provide what help they can, but you'll mostly need to refer to your lawyer. Typically, the buyer will get the keys around noon on possession day. If a pre-possession inspection was included as a term in your buyer's offer, your real estate agent will arrange that with the buyer's agent. Any inclusions should still be in place, and appliances staying with the house should be in the same working order as when the buyer made their offer. The buyer will also expect the property to be in the same or similar condition as when they viewed it before submitting their offer, so take care to ensure the property is clean. If the buyer finds the property isn't in the same condition or an inclusion has been removed, the buyer's real estate agent and your agent will discuss potential solutions. If an agreement can't be reached, the possession will become a legal issue and you'll need to contact your lawyer. Once the buyer has the keys, their mortgage funds will have been advanced, and the sale is closed, making you an official home seller!